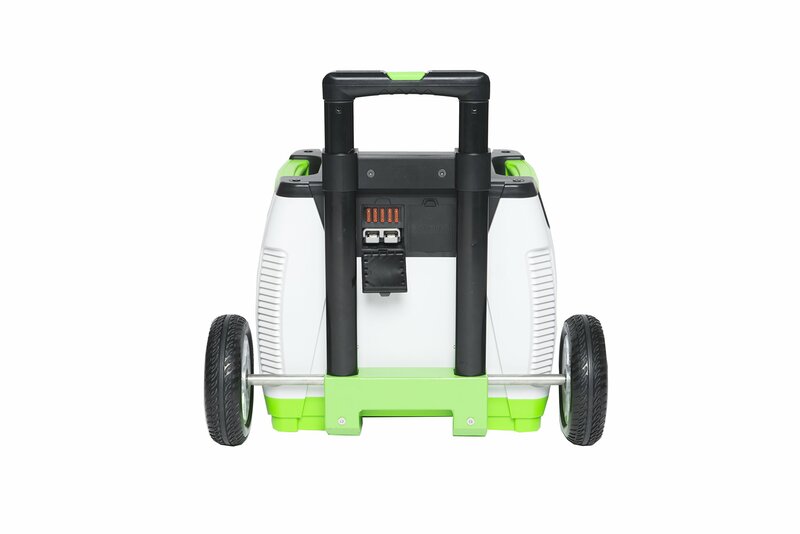 Nature’s Generator has a built-in 1800W Pure Sine Wave Inverter and Internal 60 AH battery; Helps produce 720 watt hours of total output on a single charge. 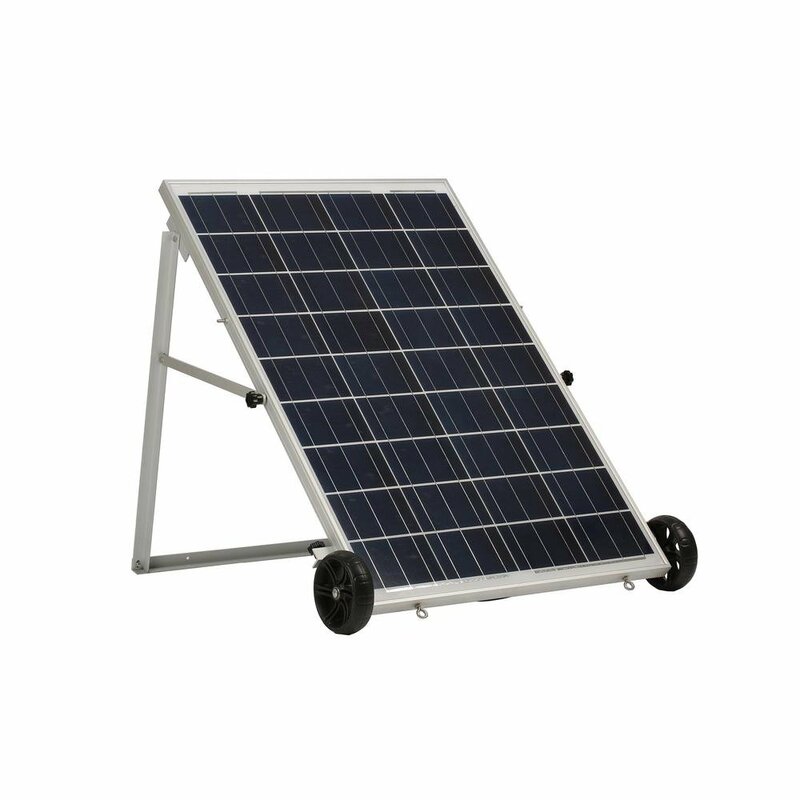 System includes 1 x 100W Polycrystalline Nature’s Generator Power Panel with built-in wheels for ease of transport and movement. 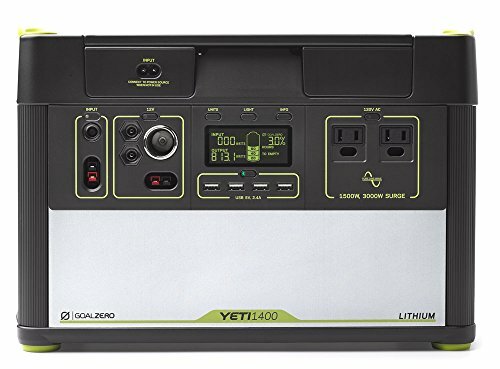 Also includes 50ft power panel cable for easily connecting the Power Panel to the Nature’s Generator (some assembly required). 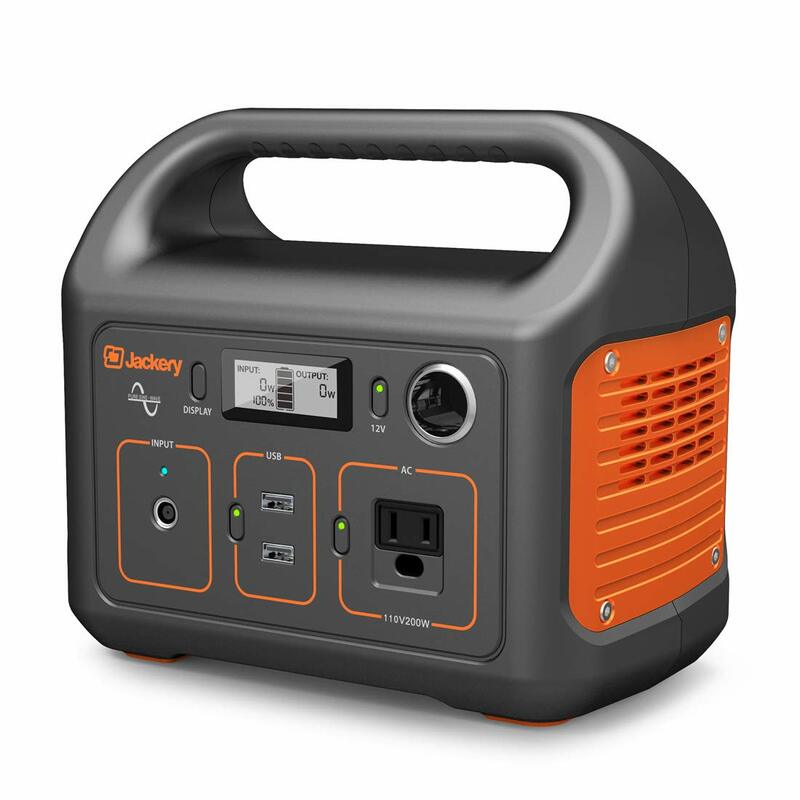 The Nature’s Generator features 3 x 120V AC outlets, 2 x USB ports that produce 3A of combined power , 1 x 12V DC outlet, 1 x Solar Input (200W charge controller built-in) and 1 x Wind Input (300W charge controller built-in). The Natures Generator is comprised of 2-natural ways to generate free electricity. 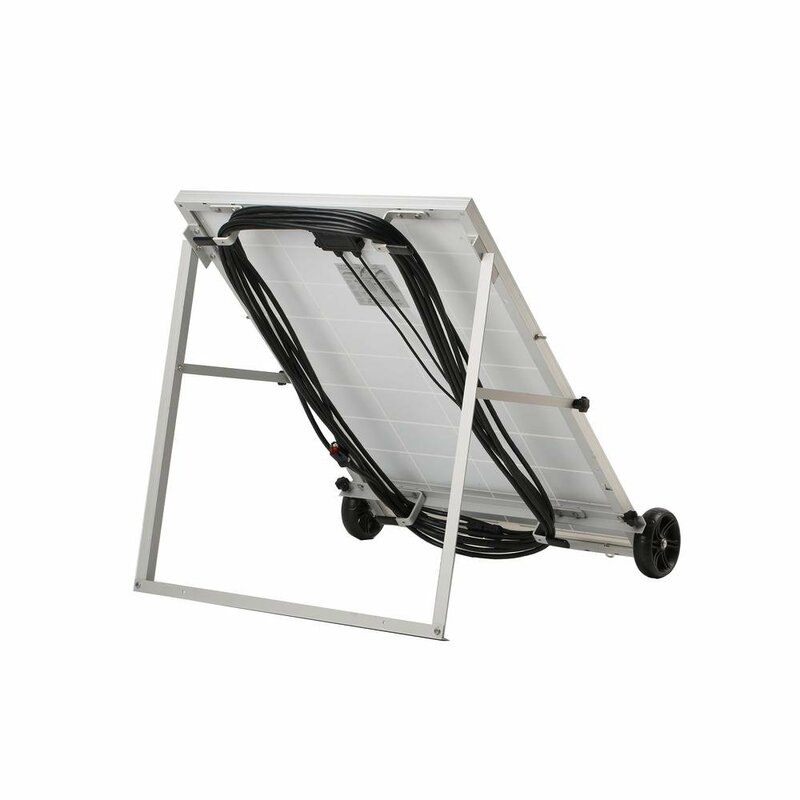 The first is through the included solar panel(s) and the second is through the wind generator port, wind generators can be purchased separately. 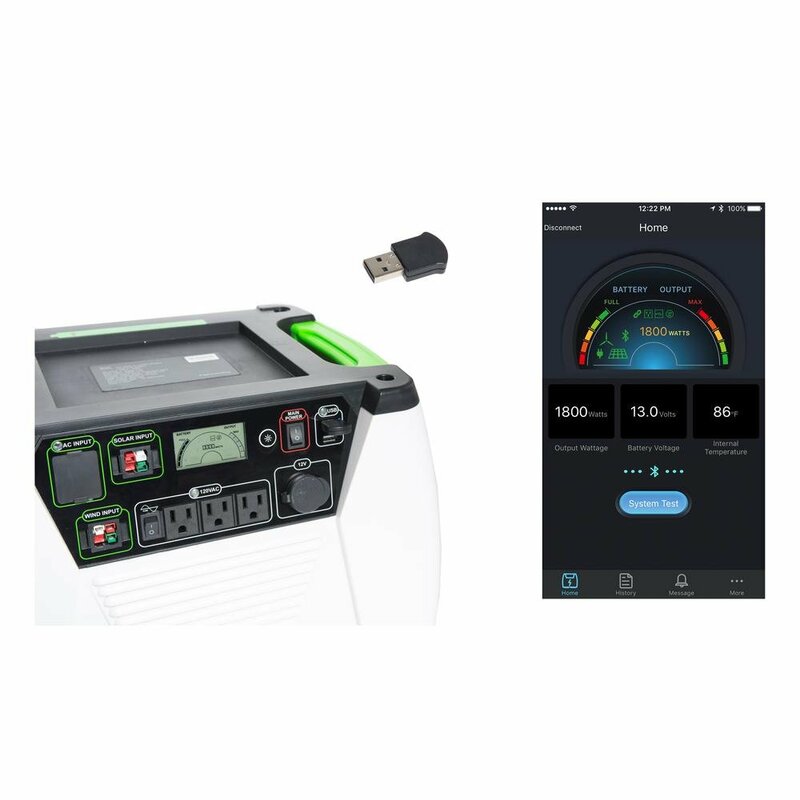 The system consists of a battery pack that stores electrical energy, state-of-the-art electronics that convert 12-Volt to normal, everyday household electricity. 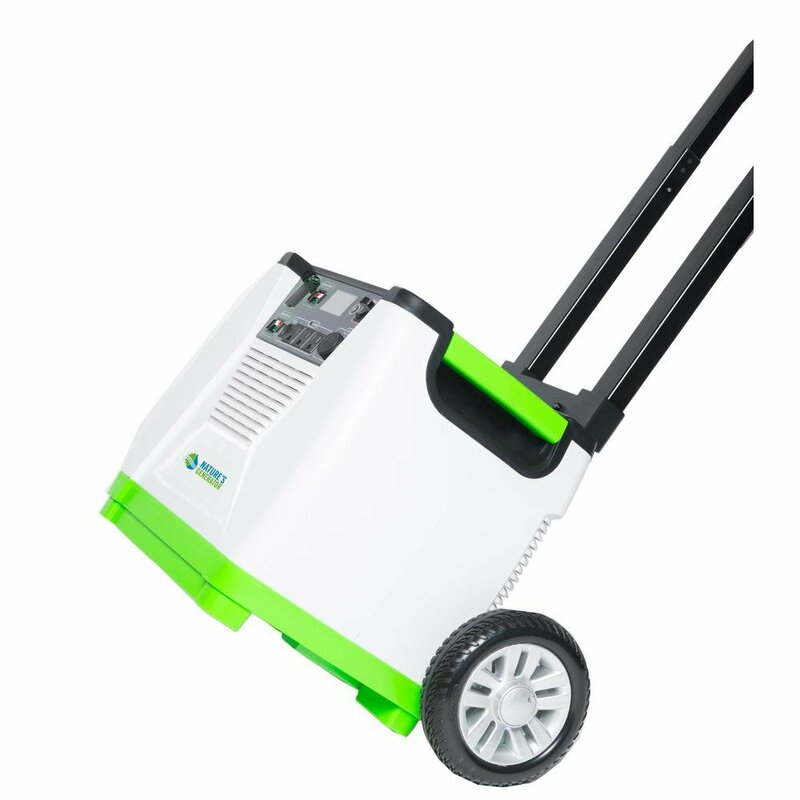 In addition, Natures Generator does not require any gas to run, does not emit any toxic fumes like standard gas generators can, and not to mention, it is whisper quite! 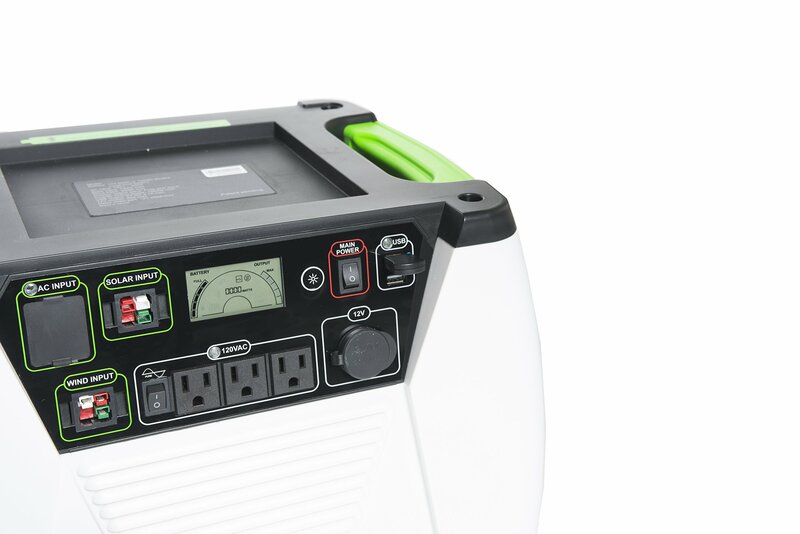 With the included solar panel(s), Nature’s Generator is a complete solar electric production and storage unit. 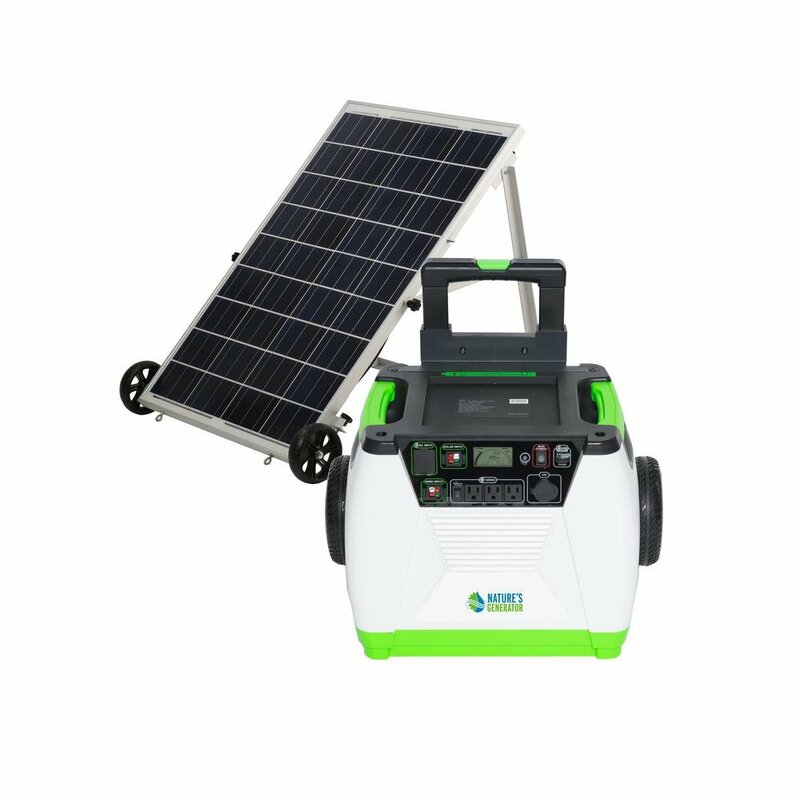 Generators are self contained power which generate their own electricity by use of a solar panel or wind generator. 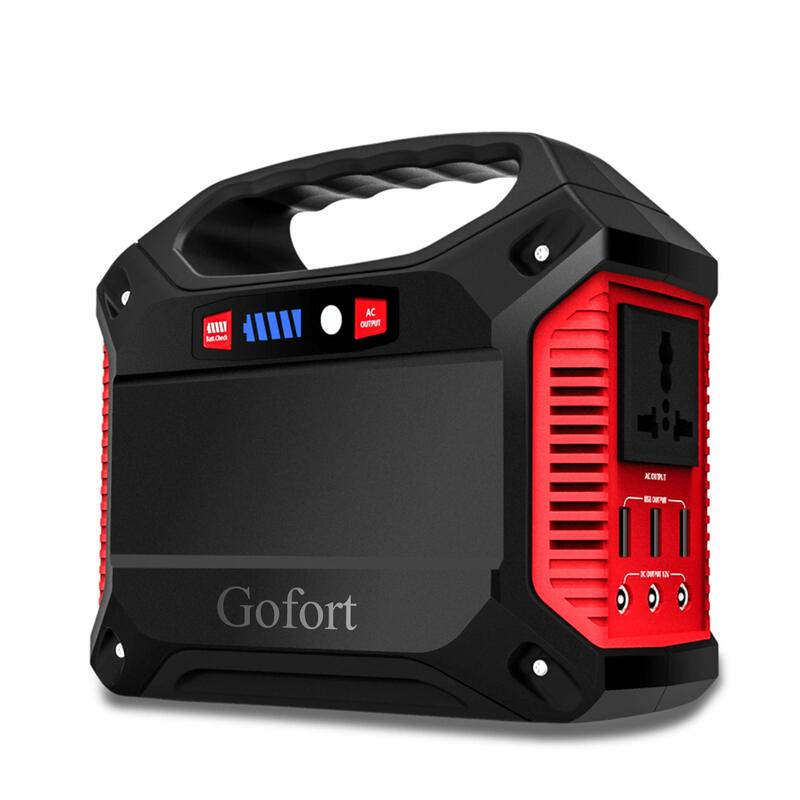 It generates its own electricity and stores the electricity for use when you need it. 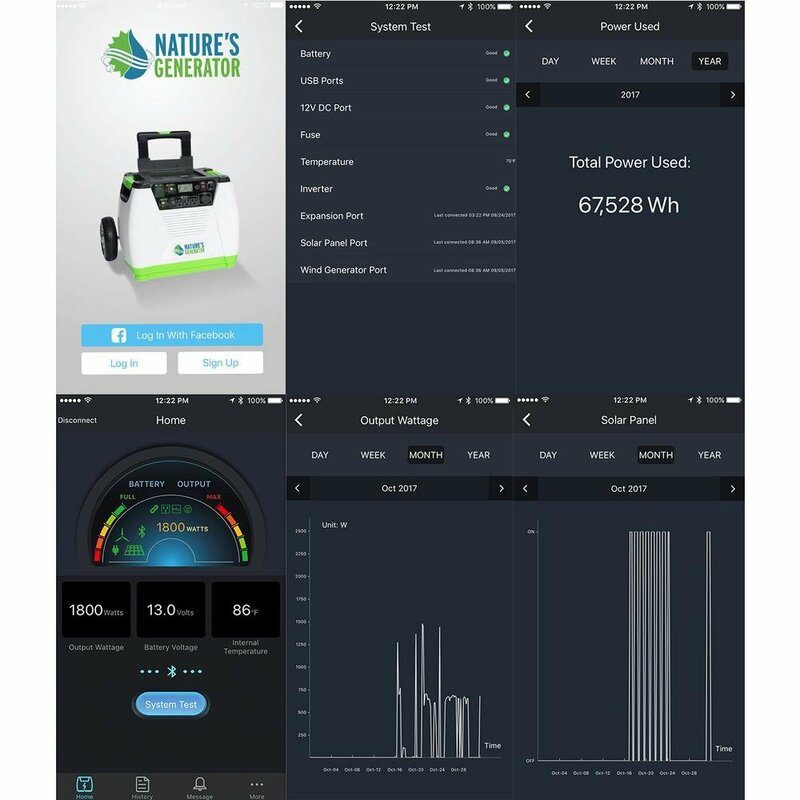 The gold system includes the Nature’s Generator, 1 x 100-Watt solar panel with included cart, universal heavy duty Generator cart, bluetooth APP access and a 1 year system warranty. 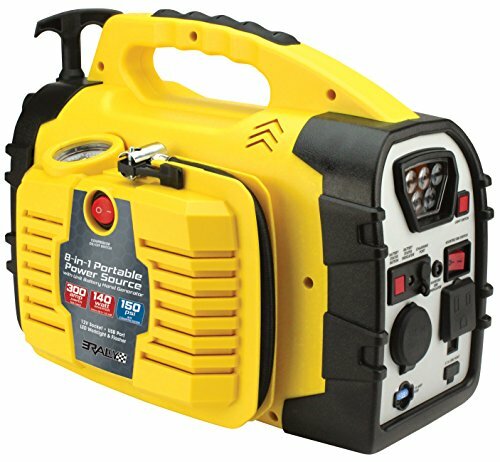 The front of the Nature’s Generator also features a light up LCD screen that gives the user a view of the battery level, charging status, output usage (above 100W) and more! 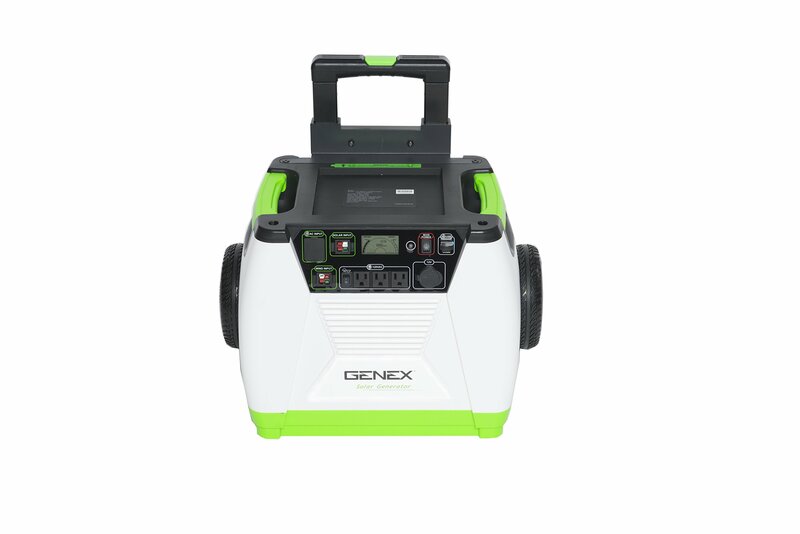 The back panel of the Nature’s Generator also has a built-in 600-Volt/175 Amp expansion port for connecting an unlimited amount of Nature’s Generator Power Pods.